It’s peaceful to work in the studio after the storm has passed through central PA, our area escaped serious damage; but my thoughts are with those whose lives have been impacted by the awful storm. 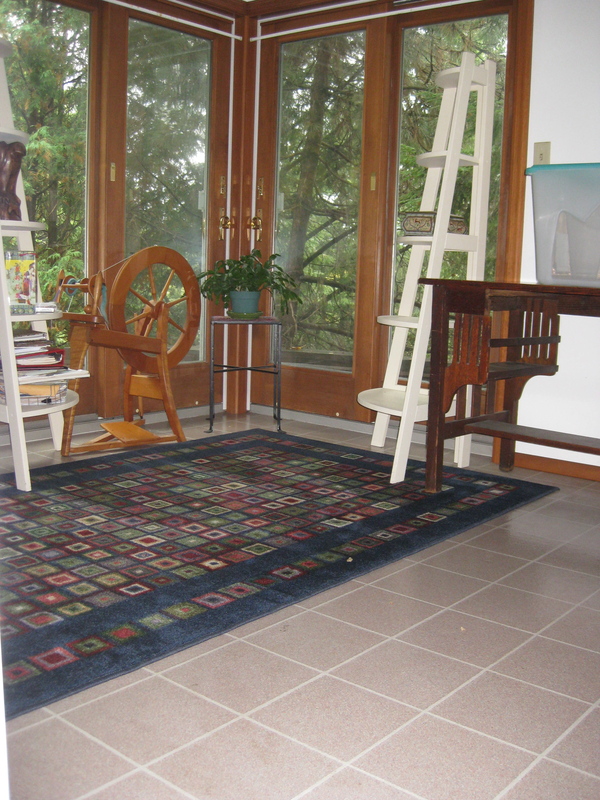 My “Loft” studio space for teaching felting is taking shape! Years ago, a student of mine shared a story: many years earlier, as a young and newly-licensed psychologist with three young children, he had a sort of reckoning: he had a vision for creating a group practice but he only had three and a half patients. So what did he do? He opened a SECOND office, about a half hour away from his first one! In time, he helped to create the group practice of his dreams, and it thrived. 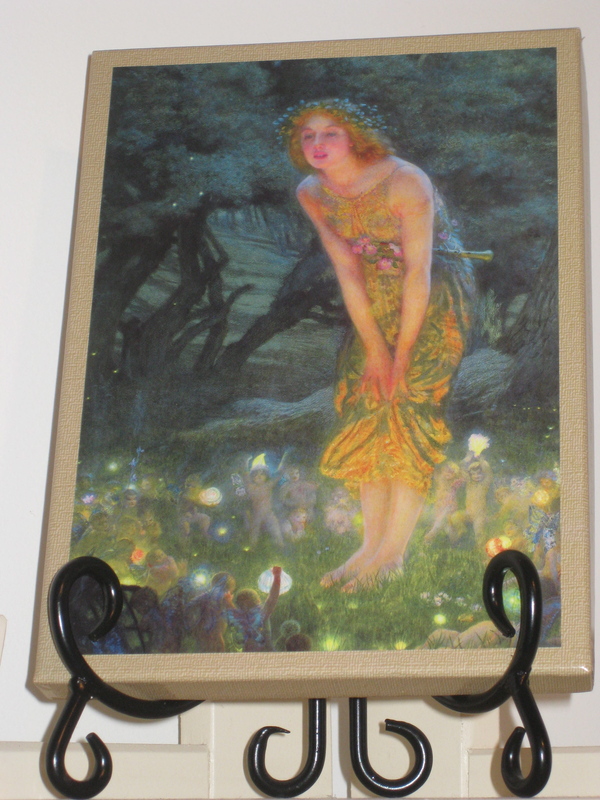 Today, as I continue to schlep a whole lotta fiber from my downstairs “working studio” into my upstairs “teaching studio,” this story perches on my shoulder and sings sweetly of moving in the direction of one’s longing. One of my favorite expressions is “It is no use to wait for your ship to come in unless you have sent one out.” I feel like I am loading the ship and soon it will sail! 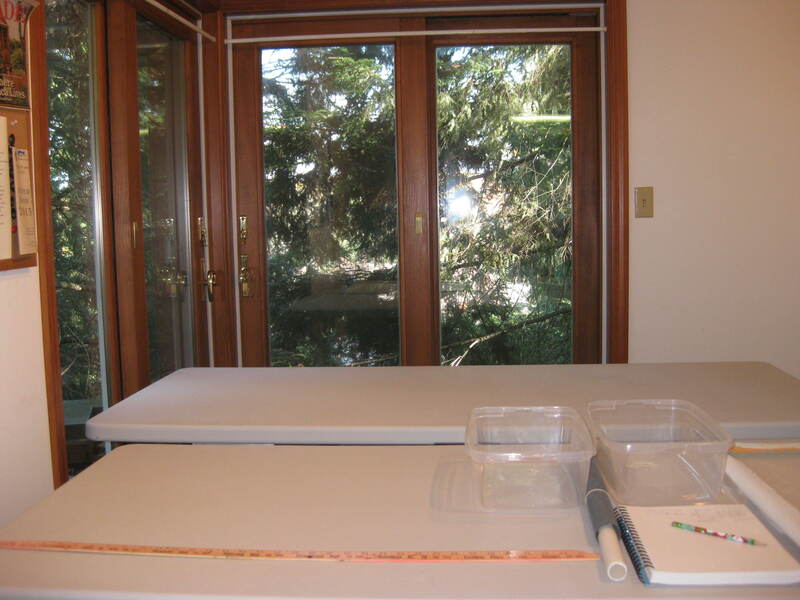 Finally, all furniture is in place in the three, newly-configured studio spaces — and now there is a space for fibers and supplies (and any fiber artist will tell you that fiber takes a lot of space! ); a space for my own studio work; and a space for teaching so I will not have to remove my work-in-progress in order to make room for students. A lot of effort has been done and more effort needs to be done: it feels luxurious to have made order; I am so grateful for the family and friends who helped. And last night I turned on all of the lights in the upstairs teaching studio, and hauled up my vacuum to do a thorough cleaning up there before bringing up teaching supplies — which really feels like icing the cake, just so delightful — and… all of the power in that room went out! 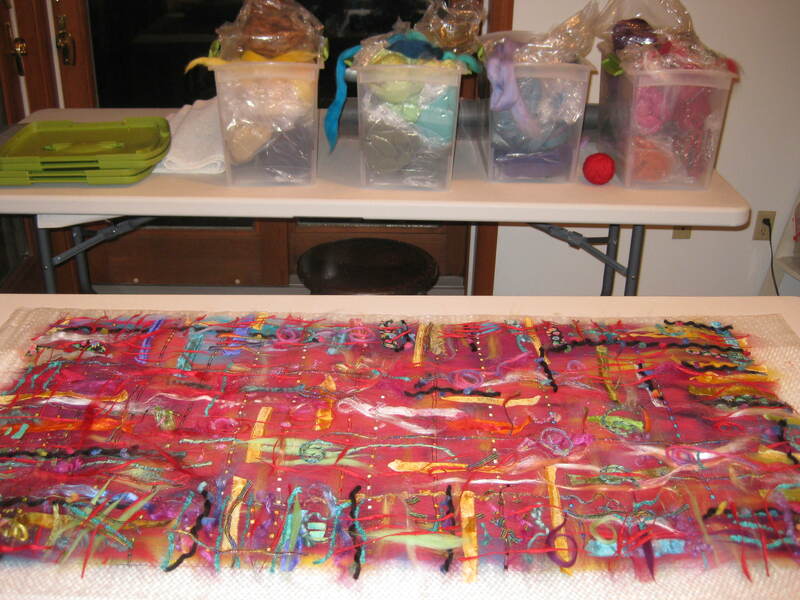 So instead of merrily organizing my teaching space last night, I sorted bags of bits of fiber — the equivalent of boxes of “string too short to be saved” that every fiber artist maintains — all of those fiber scraps and tiny curly locks and silk fabric slivers and wisps pulled off when I change my mind after starting to lay out fiber. Now I have these abundant treasure bags of bits of so many different colors and sorts of fiber, sorted by color, for students to enjoy. 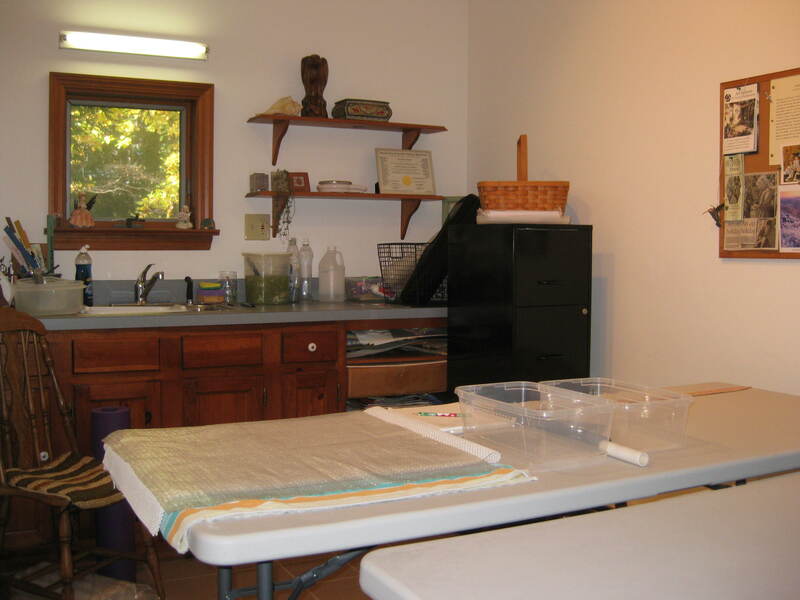 I remember eight years ago as a student at Touchstone Center for Crafts, when my daughter and I studied felting with Lori Flood, how much we loved exploring Lori’s bags of fiber bits for just the right color or fiber; and what a sweet feeling of abundance and creativity this gave us. I cannot wait to teach in this newly organized space… but until the electrician gets the power back on, I will wait. 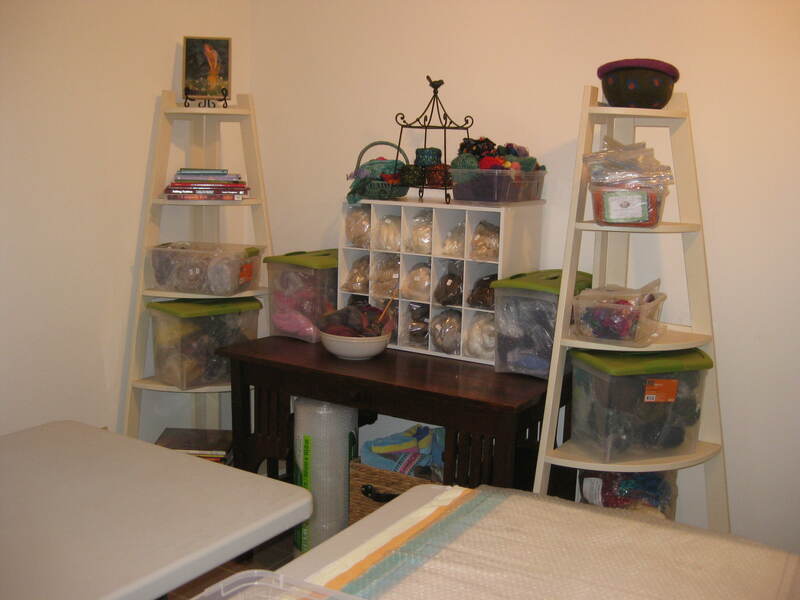 Happily, I have a room filled with fiber to keep me company! The elderly circuit breaker seems kaput. The electrician is booked for a whole week — with this coming weekend being homecoming in our college town, our electrician is very busy. So I will work around this little impediment, and look forward to posting some images of the studio spaces AND new work, too, in the near future.